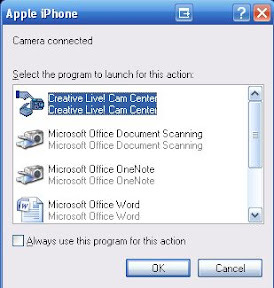 Sick of getting this Camera connected prompt each time you connect your iPhone to your PC (windows xp)? 3. Find the iPhone icon, right-click on it and click on Properties. 4. 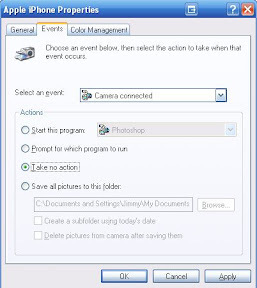 On the Properties window, click the Events tab. 5. Then under Actions choose the Take no action option to disable further prompts when you connect your iPhone.